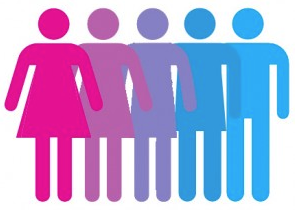 As we reported in November of 2011, California anti-discrimination law now recognizes a new definition of gender that includes gender identity and transvestitism. Recently, this became an issue for one condominium association we represent, and it could be an issue for others if they are not careful. Here are the facts (which I have modified to protect the privacy of those involved). One of our condo association clients has a longtime owner that had been active in his community. His name was Frank. Over time, the association’s board and management noticed that Frank was changing; he grew his hair long, his voice became higher and he started to wear women’s clothing and makeup. And he asked the board, management and his neighbors to start calling him Francine, telling them that he had always felt more like a woman and was changing his gender. Unfortunately, there were some at the association, including members of the board, who were uncomfortable with Frank’s transition to Francine. When Francine came to association meetings, two longtime board members would call her Frank. Francine was not happy with this and had an attorney write the association’s board a strong letter claiming discrimination and stating a lawsuit would be filed against the association if the discrimination did not stop. We advised the Board that the applicable fair housing laws prohibit discrimination based on gender, which includes gender identity. Community associations are obligated to treat each owner or resident the same, without regard to gender or gender identity. We advised the board that the owner must be called Francine as she requested. We also told the board that if they keep intentionally calling her Frank or with a pronoun that does not correspond to her gender identity, they and the association could be held liable for discrimination and unlawful harassment, and that Francine may be awarded damages. We also told them that there was a chance that this lawsuit may not be covered by the association’s insurance policies, especially if it was alleged that their discrimination was intentional. This board quickly understood that irrespective of how they felt about Francine and irrespective of how uncomfortable they felt around Francine because she was transgender, if they treated her differently because of her being transgender, this would be discrimination. We also got them to understand that if they learned that residents or management or vendors were harassing Francine because of her gender identity, they may also be obligated to take action to stop the harassing conduct.